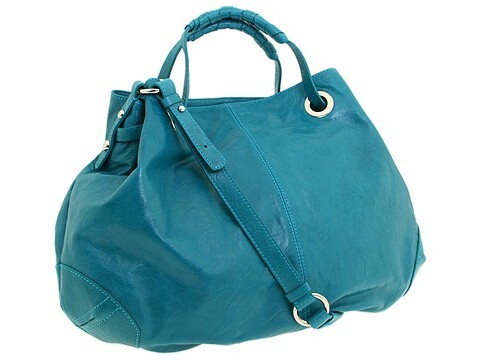 The chic simplicity of this casual bag makes it a great everyday option. Made of fine leather. Holds your wallet, sunglasses, personal technology, a small cosmetic case and a copy of your favorite magazine. Dimensions: 18 wide across bottom, 20 wide across center, 21 wide across top x 4 deep x 14 high. 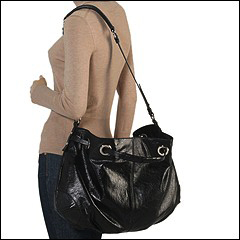 Dual handles with a shoulder strap. Handle drop: 6 length. Shoulder drop: 17 length. Top zip closure. 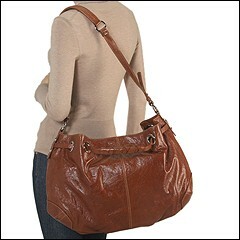 Interior lining with a back wall zip pocket and multifunctional slip pockets. 34.00 oz.